Residents of Baku hosting Eurovision for the first time say that everybody will enjoy this show. 50 days is left for Eurovision Song Contest 2012’s Grand Final. Residents of Baku looking forward the Eurovision Song Contest say that the show will be colourful and all the tourists will enjoy it. 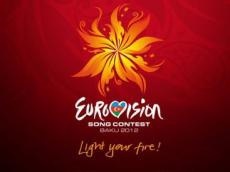 Baku residents shared their holiday mood with eurovision.az. What will our guests like most in Azerbaijan? What do our residents think about it? Let’s watch the report together!